There are too many tropes needing elaboration. 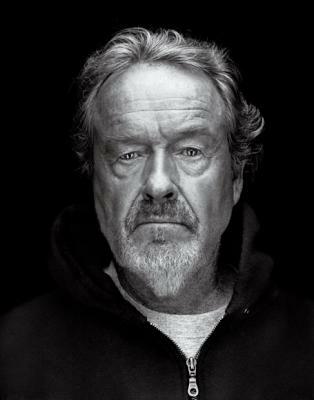 Highly accomplished commercial director, doing some of the early Apple ads, turned auteur, Sir Ridley Scott (he doesn't use the title as it makes him "sound like an old man") is a British director. Known for an obsession with visual detail rivaling Stanley Kubrick, if not Alfred Hitchcock. Several of his early works helped establish the popularity of the Used Future trope. Older brother of director Tony Scott. He has worked with an incredibly wide variety of genres and budgets, yet somehow maintains his own special touch through it all. Russell Crowe is one of his favorite actors, appearing in many of his films. 1984 commercial that introduced the Apple Macintosh - now recognized as the first Super Bowl Special ad. Mega Corp: Serves as the Bigger Bad of Alien and Blade Runner. Recut: Even when he didn't actually want them. Unicorn: Legend and, oddly enough, Blade Runner. Used Future: Alien and Blade Runner. This page was last edited on 30 July 2018, at 14:27.